Many individuals wonder about the Skype Hacks & Kik hacks that work. However, finding a practically efficient tool to hack KIK can be an uphill task for many individuals. That is because the availability of a large number of options and only some of them do what’s promised. But your search ends here as this article reveals the most efficient and reliable Kik hacks that actually work. So, just read on. Hacking a kik account of someone else might sound pretty unethical at a glance. Nevertheless, there can be some instances where sneaking into someone’s account becomes justifiable. In fact, if you sneak into someone’s personal messages just to violate his or her privacy, that’s unethical. For instance, you have no right whatsoever to sneak into your neighbor’s kik account and read his messages. You don’t have anything to do with others’ private life if they aren’t a part of your life. But what if you are a parent and your teenage daughter is texting with a criminal? What if your teenage son chats with a smuggler? What if your spouse maintains a secret relationship through KIK? Well, those reasons are fair enough for you to hack into their KIK messages to reveal the truth. Well, if you are a parent or a spouse, you might have enough reasons to hack kik accounts. If you fall into that category and wonder about the best kick hacks, we reveal the best options herewith. In this section, we intend to list down the best kick hacks in the market today. These tools are tested and proved to be exceptionally effective by many users across the globe. You may through this list and pick the best option that matches your requirement. Spyzie is considered to be one of the most practical, highly effective and results-guaranteed spy apps in the industry. This Spotify Parental Controls app usually gets updated regularly, and as a result, it maintains its status as an innovative spying app. The number of features this app comprises is pretty impressive. This special app is designed to be compatible with both Android and iOS devices. This Gmail hacker app comes with an installable APK for Android devices. To monitor the KIK account used on an Android, you should install this APK on the target device. For iOS devices, you don’t need to install the APK manually. Instead, you can remotely install the app using Apple ID of the target device. Spyzie is not designed only to track KIK accounts. It comes with the ability to listen to the surrounding of someone’s phone & track other activities that are listed below. Social media activities such as Facebook, Instagram, Twitter, WhatsApp, etc. mSpy is another impressive option if you need to perform Kik hacks on your kid’s smartphone. The user-interface of this tool offers a great deal of flexibility and convenience for the user. You don’t need to be a pro to handle mSpy. The options included in this comprehensive spying tool can clear many doubts a parent or a spouse might have. In addition to hacking KIK, mSpy can also fix on how to see private Instagram accounts, and track text messages, social media, call logs, browsing history, etc. mSpy is developed to work fine with operating systems like iOS, Android, Mac OS, and Windows. The monitoring panel of mSpy can be accessed using any web browser remotely. It also comes with excellent customer support service in multiple languages. XNSpy is another powerful spying tool that can be used as one of the best Kik hacks. It is associated with plenty of features to impress users. Apart from simply hacking a kik account, you can easily use it to perform a variety of other actions. For instance, it can track the GPS location of your kid’s smartphone in real-time. This becomes exceptionally handy when you need to know the exact whereabouts of your kid. Also, it has a very handy Geo-Fencing feature to have control on how your kids move around. It is capable of monitoring the text messages and voice calls (that are inbound and outbound). XNSPY also traces all the new contacts created on the target device. You can also add some contacts into “Watchlist” and pay special attention to them. XNSpy can record the calls for up to 30 minutes. Monitoring all the social media accounts, limiting the functions of the apps, taking real-time screenshots, etc. are also possible. Besides, it monitors emails as well. All in all, the list of features associated with XNSpy is very long. GuestSpy is yet another powerful tool that can monitor smartphones remotely. It can easily monitor messaging apps like Kik, WhatsApp, Viber, Line, etc. With the assistance of this powerful tool, you can monitor pretty much all the other activities. Monitoring the call logs, reading the text messaged, accessing the web browsing history are some of its handy tasks. It can also access all the multimedia files stored in the device. By looking at the images and videos on the smartphone, you can have an idea about the user’s behavior. The ambient recording feature of this tool gives you an idea about the surrounding of the user. GuestSpy can easily track Kik activities of the target device and let you access all of its messages. Apart from Kik, GuestSpy can record all the messaging apps. The app works on the target device in stealth mode so no one can notice it. Also, it grants you convenient remote access to the control panel through a web browser. FlexiSPY is a user-friendly, versatile spying tool that can work as a good kik hacker. It can easily help you monitor the activities of a target smartphone from a remote destination. In addition to that, it can track all the messages, social media apps, precise GPS location, etc. If you need to sneak into the target phone’s image gallery, FlexiSPY can help you with that. Recording the live phone calls made through the target device is a very impressive feature included in FlexiSPY. This highly versatile tool is designed to be compatible with iOS, Android and even with Blackberry. 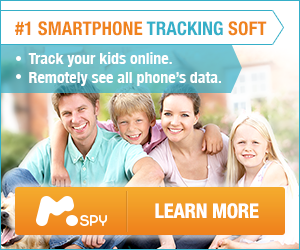 FlexiSPY is gaining its popularity as a superb parental control tool. You can use it to control apps, data used and browsing capacity of the target device. This specific tool is recognized as one of the best Kik hacks because of the large range of features. Installation of this tool can be done remotely and therefore; it works as a perfect spying tool. Copy9 is another good option that has a range of features to monitor a target smartphone. This app functions basically through WiFi. You can take control of the target device simply by sending messages to my.copy9.com. By using this software, you can view text messages, GPS tracking, access image gallery and see call history. It can view all the online activities that take place on the target device. Tracking down the social media activities on the target device is another handy feature. This special spying app is developed to be compatible with Android and iOS devices. Kik Hacker 2.0, just like the name suggests, is one of those specifically designed apps to hack Kik. This user-friendly app makes it convenient for you to hack Kik accounts of your kids and spouse. This tool is compatible with pretty much all the devices. If you need to hack someone’s kik account, Kik Hacker 2.0 will do it for free. You can easily navigate through the target device’s messages using this tool. One of the most impressive features of this tool is that it operates in stealth mode. Your target will not be able to identify that a spying app is being used. Besides, Kik Hacker 2.0 allows you to retrieve your lost Kik passwords within 24 hours. Here’s how to use Spyzie (one of the best Kik hacks) and hack a Kik account. Step 1. Sign up for a Spyzie account and subscribe to a premium account of it. Step 2. When you get the email on the account, you should click on the link. Step 3. Setup the Spyzie account using its onscreen instructions. Step 4. Provide the required information about the target account. Step 5. Go to Settings option on the target device and select “Lock Screen and security” option. Then go to “Unknown Sources” and select “OK“. Step 6. Go to my.spyzie.com, download and install Spyzie APK on the target Android smartphone. Step 7. On the same device, log into the same Spyzie account and go to Grant option. Then, “Allow” so the software will get established. Then, tap on “Start Monitoring” to make the tool invisible and begin the monitoring process. Step 8. Leave the target device alone and go to the online Dashboard of Spyzie using your computer. Step 9. Click on “Social Apps” and then view Kik. Well, those are the best Kik hacks you can find in the market today.